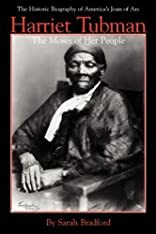 One of America�s most important women, Harriet Tubman was a former slave who led a heroic struggle more bravely and more successfully than any other to liberate African-Americans from slavery. About Sarah Bradford (Author) : Sarah Bradford is a published author of children's books. Some of the published credits of Sarah Bradford include Harriet Tubman - The Moses of Her People, Harriet Tubman: The Moses of Her People.